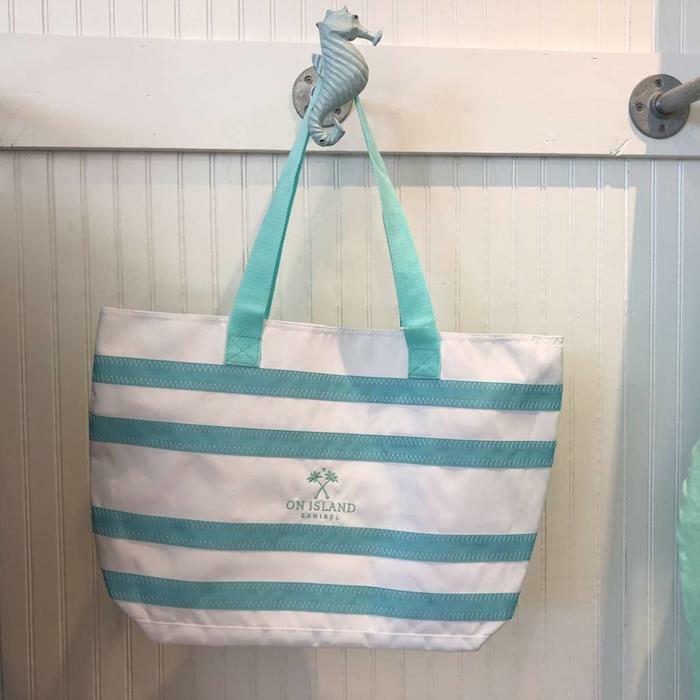 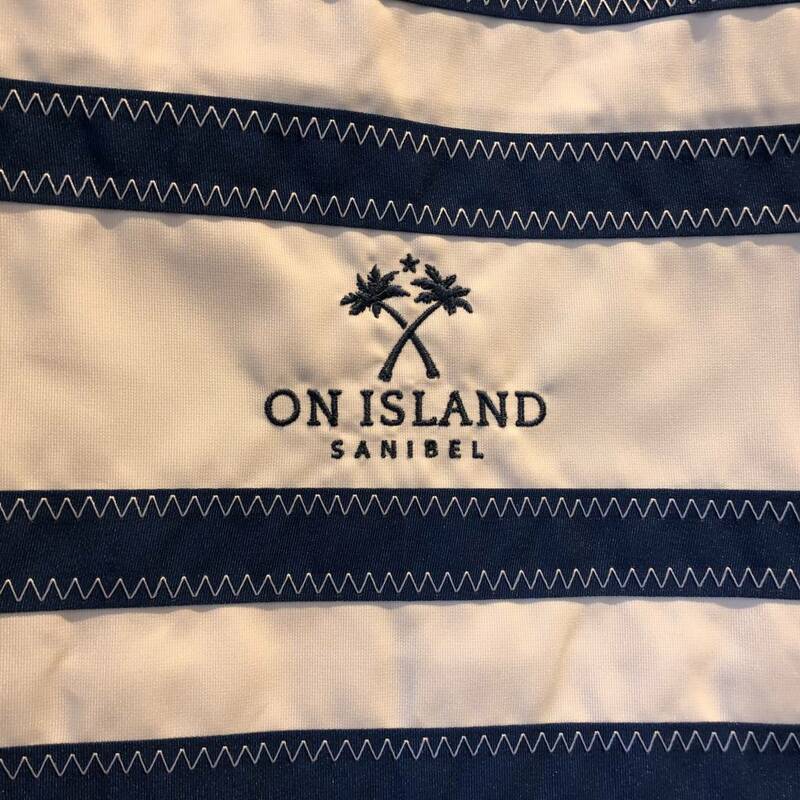 Our beloved sailor tote made from genuine sail cloth is the perfect day bag, whether you're spending it shopping or island-hopping! 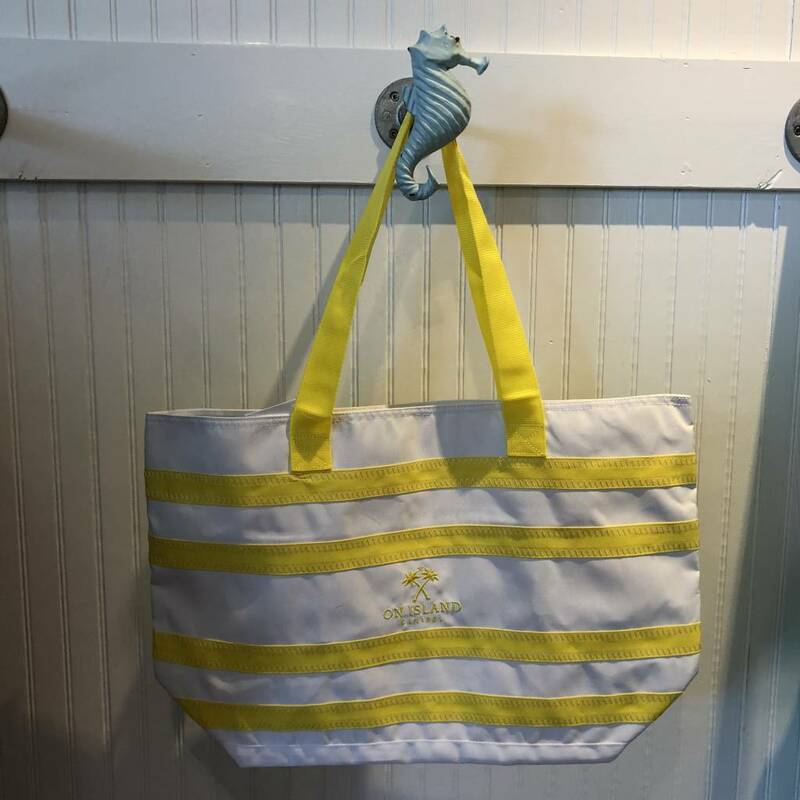 The zipper top makes it perfect for the boat so nothing spills. It comes in navy, turquoise, yellow or pink. 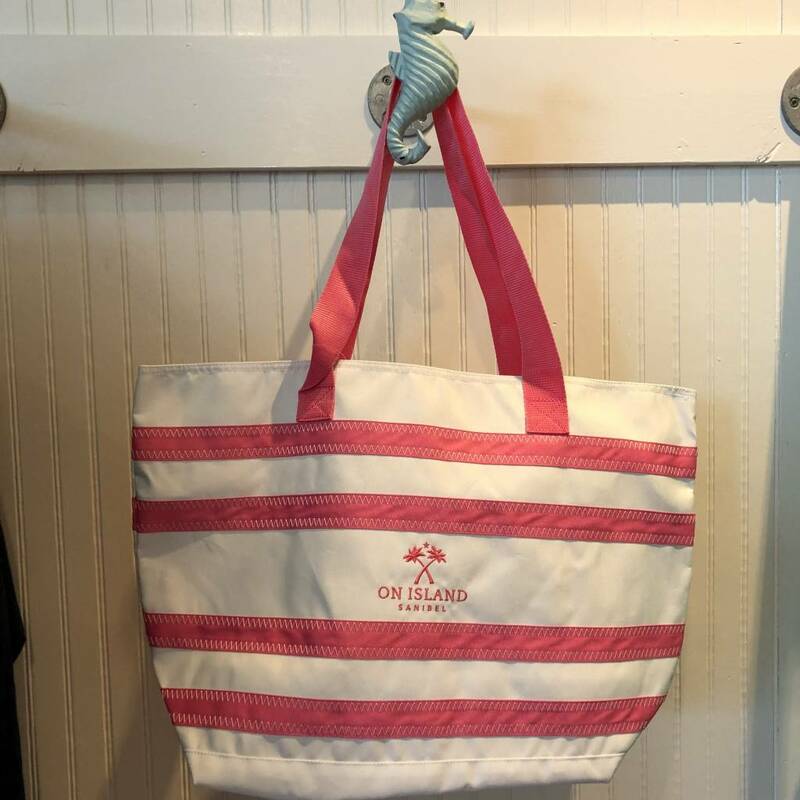 Large main compartment carries your swimsuit, flip-flops, sunscreen and other supplies, wallet, water bottle and more. 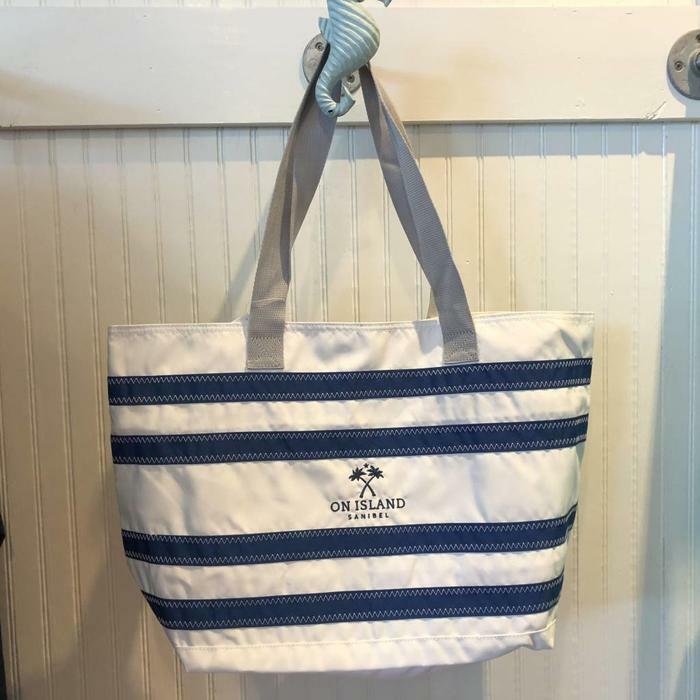 Finest materials and trim: Our genuine sailcloth exterior, YKK marine grade zippers, corrosion-resistant metal hardware, super-tough webbing and signature sailmaker's zig-zag stitching are some of the things that make it easy for us to proudly guarantee SailorBags for life!